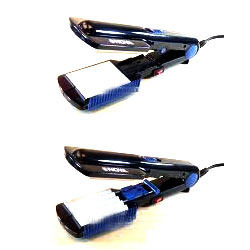 We offer a high grade range of Hair Crimpers. 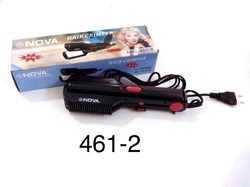 These Hair Crimpers that we offer are offered at highly affordable prices. As a customer-focused organization, we are providing a wide array Hair Crimper. In addition to this, we are providing these products at very leading prices. The Sebastian Professional Crimper was originally invented in 1972 specifically for Barbara Streisand’s hair making it an iconic tool. This professional styling tool features even heat distribution across the plates whilst the TriCeraLite technology ensures minimal temperature loss during styling for ultimate precision.